"Morale is good," Pompeo told reporters in Abu Dhabi, one of the stops on his nine-nation tour of Middle East, as the shutdown was set to enter its fourth week. "They understand that there are squabbles in Washington, but their mission remains, their duties continue and they're executing them." "We're doing our best to make sure it doesn't impact our diplomacy," he said of the longest federal shutdown in U.S. history. Almost half of the State Department employees in the United States and about one-quarter abroad have been furloughed during the shutdown. 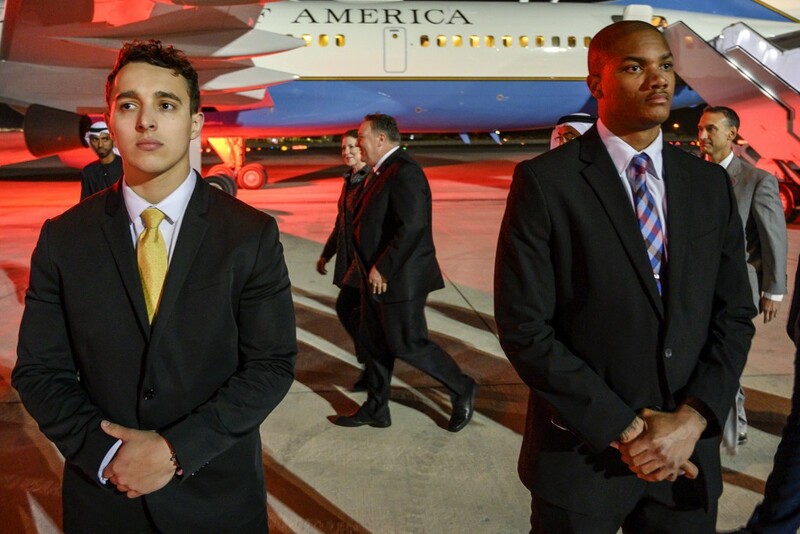 With the exception of certain local employees overseas, the rest are working without pay, including those tasked with supporting Pompeo's trip, which has thus far taken him to Jordan, Iraq, Egypt and Bahrain. 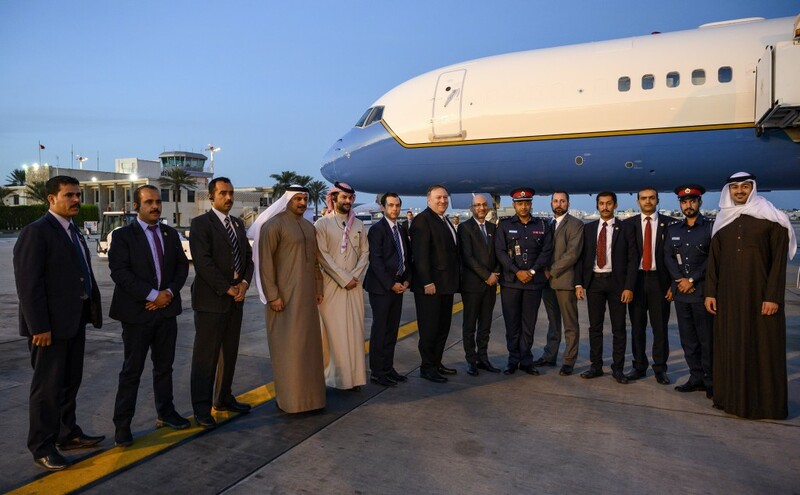 Pompeo's travels were to continue to Sunday with stops in Qatar and Saudi Arabia. He will wrap the tour up on Monday and Tuesday in Oman and Kuwait. "It's something that we've had teed up for a while," he said. "It is incredibly important that they hear directly from me. It's an important opportunity for me to get in front of 180-plus of my commanders in the field to look them in the eye and describe to them what it is we're doing and how it is I expect them to do that." Pompeo also defended the presence of his wife on his Mideast tour. Susan Pompeo's travel with her husband has raised the eyebrows of some who have questioned why she is accompanying him during the shutdown. Pompeo called her a "force multiplier" who is looking at issues he might not otherwise have time to deal with. 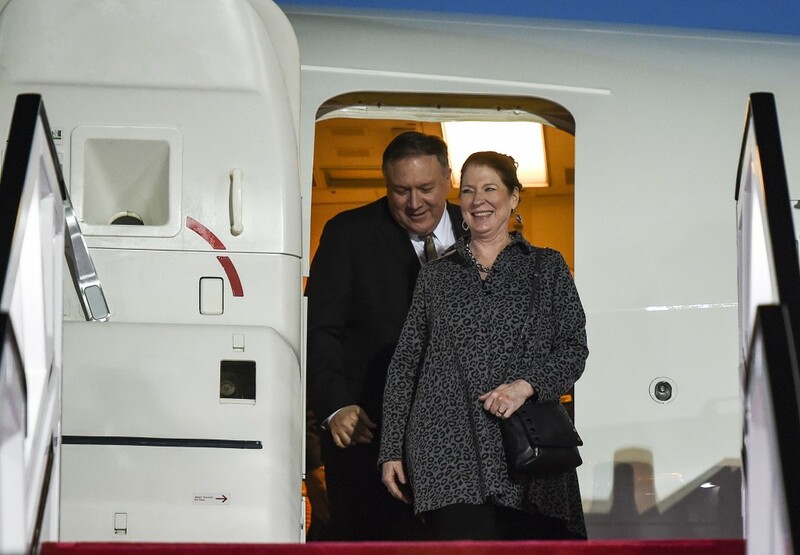 "With respect to my wife's travel, she is on an important mission as well," Pompeo said, noting that she has visited the families of U.S. diplomats to gauge their quality of life and make suggestions as to how that can be improved. "She is here on a working trip doing her best to do what you would see a military leader's spouse do — trying to help the State Department be better." "Are our officers living in the conditions that the Pompeo family would be willing to accept? What are their lives like?" he said. He added that she would prepare a report on what she found with suggestions for improvements, similar to what she did with CIA families while Pompeo was head of the intelligence agency. "All the things that make up the lives of our families who are serving in sometimes very difficult places she gets a chance to get out there to see how their living and help me understand what it is that we can do to make sure that our team has everything that they need," Pompeo said.